Something smells very fishy in the city of Bumblyburg. It also smells like moldy gym shoes, rotten eggs, and spoiled milk. What's to blame? 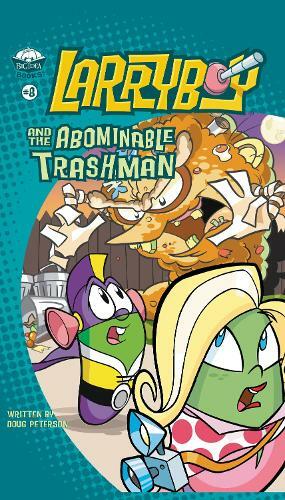 The Abominable Trashman, one of the weirdest, wildest creatures to ever leap out of a garbage can!The Abominable Trashman and his evil creator, Awful Alvin, are spreading fear throughout Bumblyburg and turning the citizens into slaves of their own fear. Is Bumblyburg doomed to become a smelly trash heap for all-time? LarryBoy must battle the foul monster to rescue the city, but first, he must battle his own fears.Sunday morning values, Saturday morning fun. Now that's the Big Idea!Through imaginative and innovative products, Zonderkidz is feeding young souls.